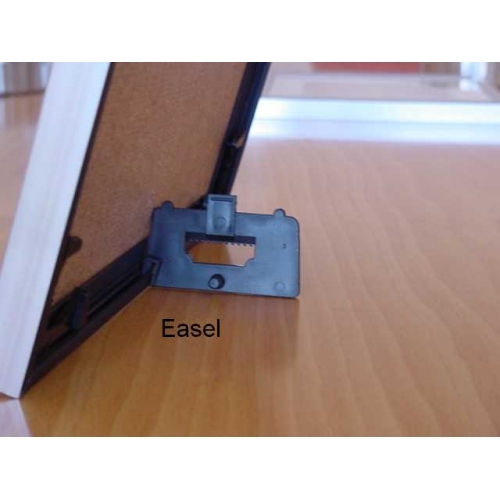 Exclusive side loading Profile375 picture frame molding system assembles quickly with perfect corner miters - no tools required. All materials required to make a fully functional picture frame shell. 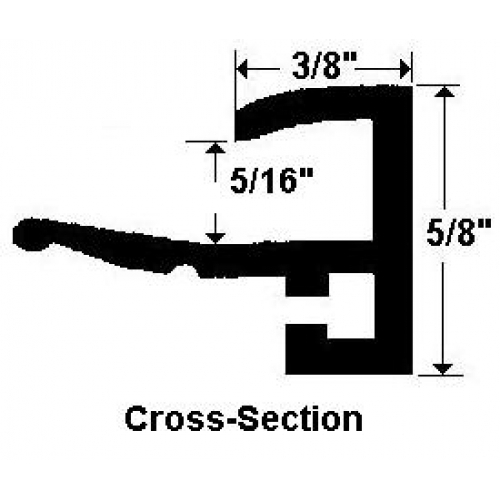 Four (4) Moldings (color options vary by size). Four (4) Corner Clips for assembly and hanging. Select None from the dropdown to add a backing panel locally for exceptional value on a custom framing solution! An optional 1/8 inch thick Corrugated (cardboard) panel will be available for most sizes. An optional 1/8 inch thick MDF (Medium Density Fiberboard) panel will be available for most sizes. Select None from the dropdown to add a glazing panel locally for exceptional value on a custom framing solution! An optional 2mm. thick float glass panel will be available for most sizes. An optional 0.030-0.040 inch thick optically clear PET panel will be available for most sizes. Note> These panels include a protective peel away film on both sides which must be removed prior to use. An optional 0.040 inch thick anti-glare PET panel will be available for most sizes. Note> These panels include a protective peel away film on one side which must be removed prior to use. Add a matte locally if desired. 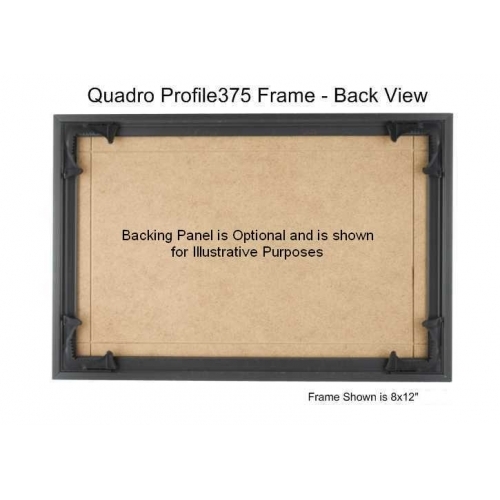 Please note that due to shipping restrictions panels are not offered on frames larger than 27x41". 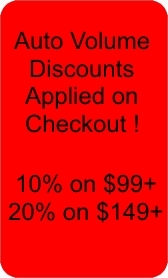 Adding large format panels may trigger shipping surcharges on orders under $59. Use with bevel cut mattes. Panels and frame interior size is nominal +1/8" - 0". Example: A 16x20" frame will accomodate panels/prints of up to 16" x 20" in size. Effective display area is nominal size minus 3/4" due to molding overlap. 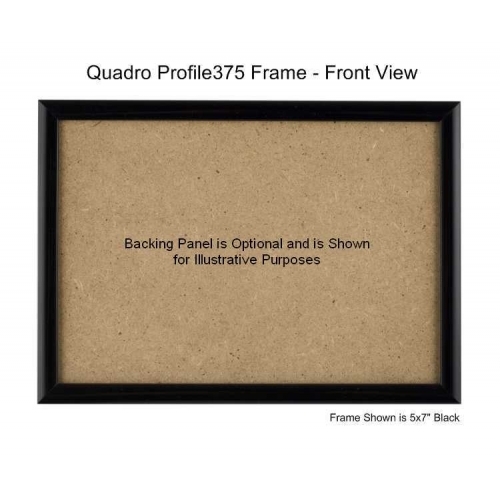 Example: A 16x20" frame has a visible opening of 15.25 x 19.25". 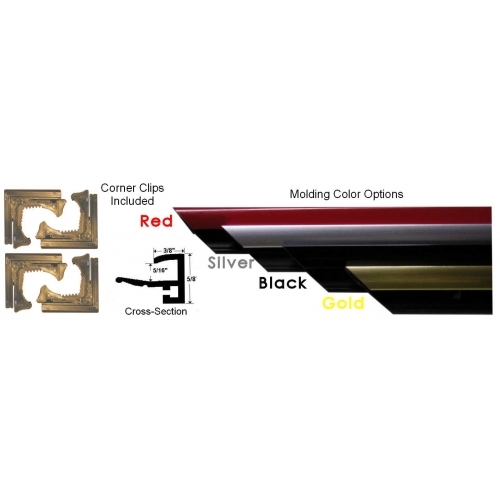 Material is extruded ABS plastic with a co-bonded foil finish.